Dallas, US – Scientists have more evidence that exercise improves brain health and could be a lifesaving ingredient that prevents Alzheimer’s disease. “This research supports the hypothesis that improving people’s fitness may improve their brain health and slow down the aging process,” said Dr. Kan Ding, a neurologist from the O’Donnell Brain Institute who authored the study. The study published in the Journal of Alzheimer’s Disease focused on a type of brain tissue called white matter, which is comprised of millions of bundles of nerve fibers used by neurons to communicate across the brain. Dr. Ding’s team enrolled older patients at high risk to develop Alzheimer’s disease who have early signs of memory loss, or mild cognitive impairment. 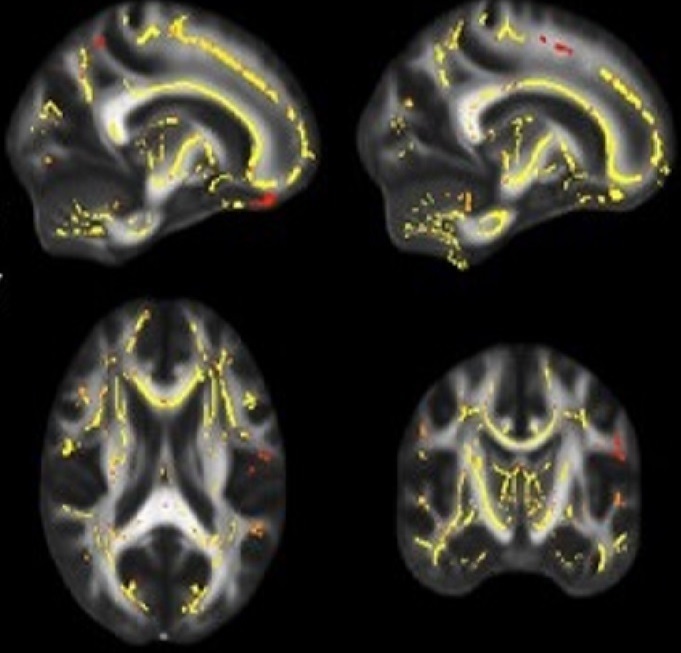 The researchers determined that lower fitness levels were associated with weaker white matter, which in turn correlated with lower brain function. The study adds to a growing body of evidence pointing to a simple yet crucial mandate for human health: Exercise regularly. However, the study leaves plenty of unanswered questions about how fitness and Alzheimer’s disease are intertwined. For instance, what fitness level is needed to notably reduce the risk of dementia? Is it too late to intervene when patients begin showing symptoms? Some of these topics are already being researched through a five-year national clinical trial led by the O’Donnell Brain Institute. Full study: Ding K, Tarumi T, Zhu DC, Tseng BY, Thomas BP, Turner M, Repshas J, Kerwin DR, Womack KB, Lu H, Cullum CM, Zhang R (2018) “Cardiorespiratory Fitness and White Matter Neuronal Fiber Integrity in Mild Cognitive Impairment” J Alzheimers Dis 61 (2) 729–739 (doi: 10.3233/JAD-170415).